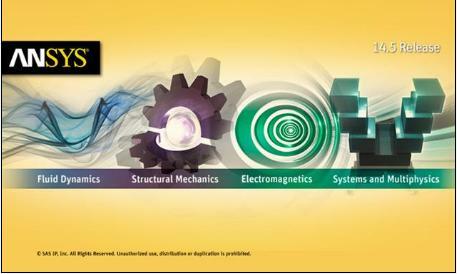 ANSYS 15 nCode DesignLife x86x64-SSQ | Free eBooks Download - EBOOKEE! Posted on 2014-01-18, by nobihai. ANSYS 15 nCode DesignLife x86/x64-SSQ | 2.41 GB The product family ANSYS nCode DesignLife ====== ANSYS nCode DesignLife Standard - the core product to meet the challenges of fatigue durability . Includes assessment methods , depending on the level of stress (stress-life), the deformation and the method of Dang Van. Capabilities of the standard package DesignLife Analysis of fatigue life , depending on the level of stress (Stress Life) Analysis of the fatigue life of structures , depending on the stress level . It is possible to interpolate between the curves of the material properties , depending on the temperature. You can use Python scripts to create new or improve existing methods for assessing fatigue life. Preliminary decision cycle fatigue curves with the control of nominal stresses. Material models : Standard SN. SN Mean multi-curve. SN R-ratio multi-curve. SN Haigh multi-curve. SN Temperature multi-curve. Bastenaire SN. Typical SN model based browser Python. Analysis of the fatigue life depending on the strain (Strain Life) Ability to predict the fatigue life based on an analysis of local deformations in the structure. The ability to interpolate between the curves of the material properties , depending on the temperature. Used for a wide range of problems including low-cycle fatigue with the control of elastic-plastic deformations. Material models : Standard EN. EN Mean multi-curve. EN R-ratio multi-curve. EN Temperature multi-curve. Correction of secondary stress in the cycle : Morrow. Smith Watson Topper. No comments for "ANSYS 15 nCode DesignLife x86x64-SSQ".